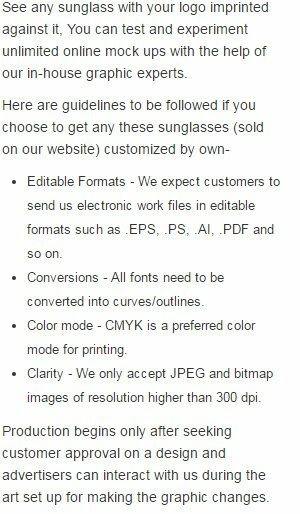 Custom Blues Brothers sunglasses – orange can magnetize any duller campaign with its aesthetic appeal. Portraying the fashion impressions of great 80’s, personalized Blues Brother sunglasses can make a great clothing accessory and it can be adorned during any 80’s themed parties, retro themed parties, disco parties, and other enjoyable events, where a wearer is expected to encounter huge body of people. Along with its famous appearance, this sunglass is known for its great colored frames, and dark lenses. Promotional Blues Brothers sunglasses imprinted with logos and other important brand symbols can be handed over during promotional events, sporting events, business events, and at other events, where huge customer participation is expected. Imprint area - 2" X 5/16". UV400 protection.